Hailing from Ann Arbor, Michigan, Taproot formed in late 1997, and has toured with Deftones, Sevendust, Incubus, and Korn. 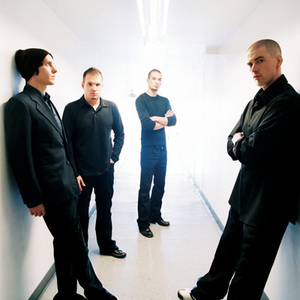 Taproot's album "Blue Sky Research" was released on 16 August 2005. Their song "Calling" was the official theme song of WWE's Unforgiven pay-per-view event in September 2005. The second single from the album, "Birthday," received minimal radio airtime on the East Coast. In 1997, Taproot sent their demo to Limp Bizkit frontman Fred Durst. Impressed with their material, he offered to get them a recording contract through Interscope Records. In 1997, Taproot sent their demo to Limp Bizkit frontman Fred Durst. Impressed with their material, he offered to get them a recording contract through Interscope Records. However, after extended negotiations, Taproot looked elsewhere, where they finally landed a lucrative record deal with Atlantic Records. Durst heavily cursed the band on vocalist Stephen Richards' answering machine. He also put some blame on System of a Down, who assisted Taproot in securing the Atlantic deal. In retaliation, Durst also kicked System of a Down off the 1999 Family Values Tour, replacing them with Staind. Taproot later went on to independently release three albums: ...Something More Than Nothing (1998), Mentobe (1998) and Upon Us (1999). ""After 10 years of touring, our drummer and good friend Jarrod will be sitting out this cycle and we will be replacing him with our long time friend Nick Fredell. We'll miss Jarrod's presence out on the road, but Nick has fit in perfectly and we're excited for all of our fans to meet him. Jarrod's still very much a part of our family, so you'll be seeing him in press and the "Wherever I Stand" video which is out now on Youtube..."